When Martin Krause arrives at Rose Owens’s high school, she’s determined to remain chilly with her new colleague. Unfriendly? Maybe. Understandable? Yes, since a loathsome administrator gave Rose’s beloved world history classes to Martin, knowing it would hurt her. But keeping her distance from a man as warm and kind as Martin will prove challenging, even for a stubborn, guarded ice queen. Especially when she begins to see him for what he truly is: a man who’s never been taught his own value. Martin could use a good teacher—and luckily, Rose is the best. Rose has her own lessons—about trust, about vulnerability, about her past—to learn. 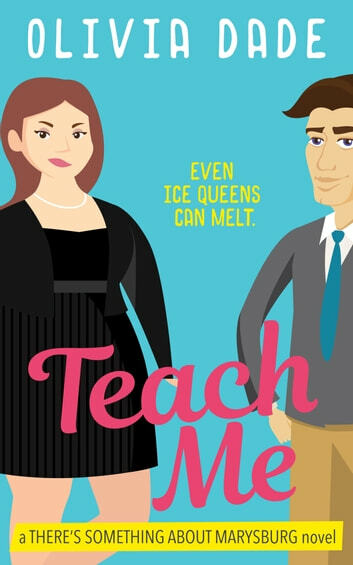 And over the course of a single school year, the two of them will find out just how hot it can get when an ice queen melts.